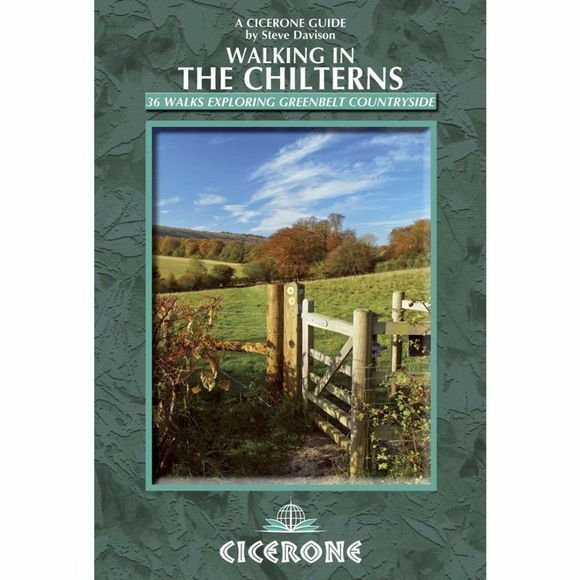 This guidebook describes 35 varied day walks in the Chilterns Area of Outstanding Natural Beauty in southern England. The Chiltern Hills follow a line of chalk from the River Thames at Goring up to the Barton Hills just west of Hitchin, through Oxfordshire, Buckinghamshire, Hertfordshire and Bedfordshire, with great views from the north west edge and, on the south east side, a more intimate undulating landscape of rounded hills and valleys, covered in a mix of broadleaved woodland and open farmland. The walks take you on a journey through this classic Chiltern landscape that has been shaped by human activity for thousands of years, visiting interesting historic sites, colourful gardens and picture-postcard villages with thatched cottages, fascinating churches and cosy pubs. Step by step route directions include lots of information about all these sites along the way and are illustrated with clear OS mapping and vibrant photographs. Written by a real local enthusiast.